Our Boston mesothelioma attorneys understand that, while companies were well aware that they were exposing people to deadly asbestos fibers while they were doing it, now they often try to claim they had no idea. According to a recent article in the Western News, the United States Environmental Protection Agency (EPA) has created quite a controversy over the fact that the agency may leave homeowners with the responsibility and financial consequences of cleaning up asbestos in Libby, Montana. At one point, Libby, Montana was home to mines that produced 80 percent of the world’s vermiculite. 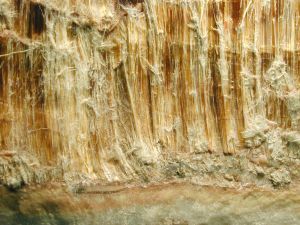 Vermiculite is a silica-based mineral that often contains asbestos. The mining company officials claimed they were not aware of the high levels of asbestos in the mine when they purchased it and began large volume mining operations. It has since been established that they were well-aware of this fact and did not warn the workers, residents of the town or buyers of the vermiculite. As a result of the tragic history of this small Montana community, the EPA set up a superfund to assess the asbestos contamination and clean up the area. Nearly 15 years later, the assessment is not complete and the EPA has suggested that while they will remain to monitor the asbestos levels every five years, homeowners and future developers will have to foot the bill for cleanup. This has infuriated leaders with the county health department. However, EPA officials counter this is no different from the way in which other superfunds are administered. One major issue is that if the homeowner has any asbestos from commercial sources, such as building materials, the EPA may not pay for the cleanup, even if the homeowner’s land is covered with asbestos dust from the mining operation. Asbestos fibers, specifically when inhaled, are known to cause mesothelioma, a deadly form of lung cancer for which there is no known cure. Patients typically do not develop symptoms until decades after exposure. As your Boston mesothelioma attorney can explain, once the disease is finally discovered, the emotional and financial costs to victims and their families can be extremely high. If you have been diagnosed with mesothelioma, you should contact an attorney who regularly handles these types of cases as soon as possible to get the process started. This can help ensure fair and appropriate financial compensation for you and the family you will leave behind. Companies knew it would take many years for workers to get sick, and figured it was more profitable to expose their workers and deal with any costs later. Vermiculite, which is the mineral discussed in the article above, is still used today. However, the EPA has required since the 1990s that it be tested to make sure it does not contain asbestos.